HODIE (Roman Calendar): ante diem tertium Idus Februarias. MYTHS and LEGENDS: The art image for today's legend shows Orpheus and Eurydice, and there are more images here. 3-WORD MOTTOES: Today's 3-word motto is Honestum praeferre utili (English: To prefer what is honorable to what is useful). 3-WORD PROVERBS: Today's 3-word proverb is Doce ut discas (English: Teach so that you can learn). RHYMING PROVERBS: Today's proverb with rhyme is: Mane sub aurora res vertitur ad meliora (English: In the morning at dawn, things take a turn for the better). VULGATE VERSES: Today's verse is In qua mensura mensi fueritis, metietur vobis (Matt. 7:2). For a translation, check out the polyglot Bible, in English, Hebrew, Latin and Greek, at the Sacred Texts Archive online. 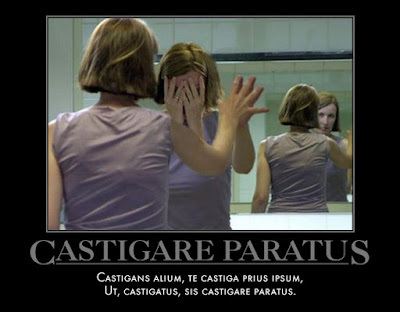 BREVISSIMA: The distich poster for today is Castigare Paratus. Click here for a full-sized view. Become not slaves of men. 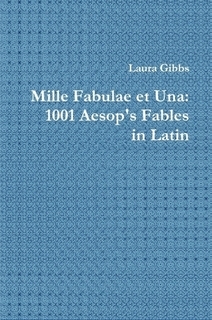 PHAEDRI FABULAE: The illustrated fable from Phaedrus for today is Asinus et Galli, a story about the slave's life: Latin text and Smart's translation. STEINHOWEL: The illustrated fable from Steinhowel for today is De equo et asino, a lesson about the Fortune's Wheel: Latin text and English versions. موقع تورنتك هو موقع يقدم مسلسلات وافلام تورنت باعلى جودة وباحجام مناسبة.